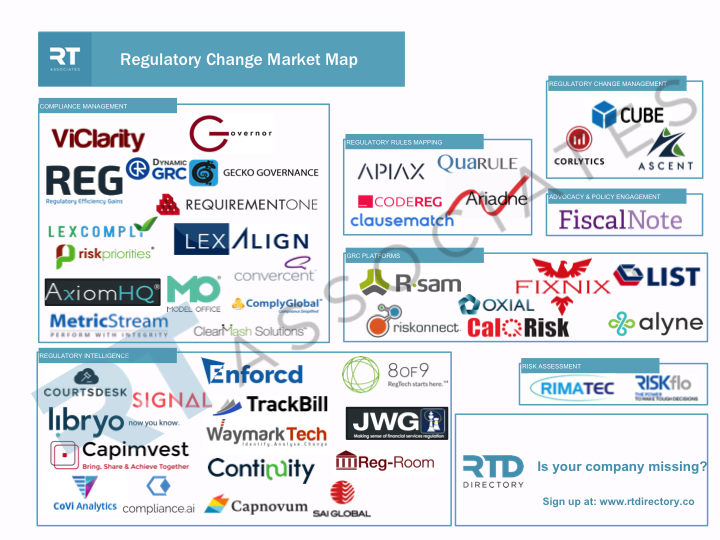 Our RegTech product directory covers nearly 500 different RegTech products, categorised according to the type of regulatory problem they address. This year, we are extending our research to further understand the market. We will create market maps of each category and provide insights on the current state of each market segment. In March, our focus has been on the Regulatory Change category. The disaggregation and disambiguation of the regulatory texts into machine readable rules.